DevTool Extensions add more better presentation of ClojureScript values in Chrome DevTools using custom formatters, more informative exceptions with sanity hints) and support for Dirac DevTools - a fork of the Chrome DevTools. Add the DevTools extensions to the startup part of your ClojureScript using the (:require [devtools.core :as devtools]) expression. Then call install! function from devtools.core namespace. 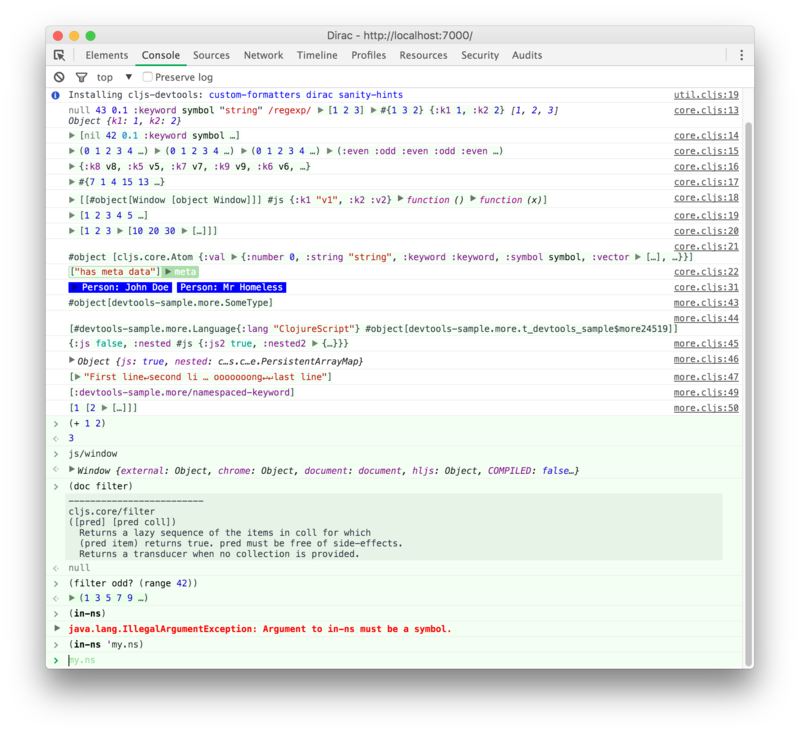 For more details, visit the DevTools Extensions website and clone the sample project. 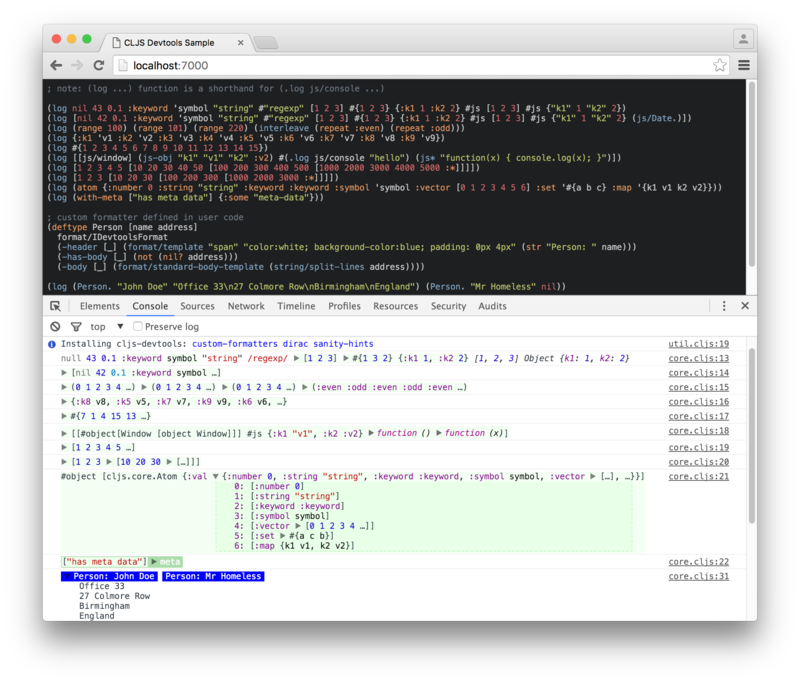 Dirac DevTools is a fork of the Chrome DevTools.